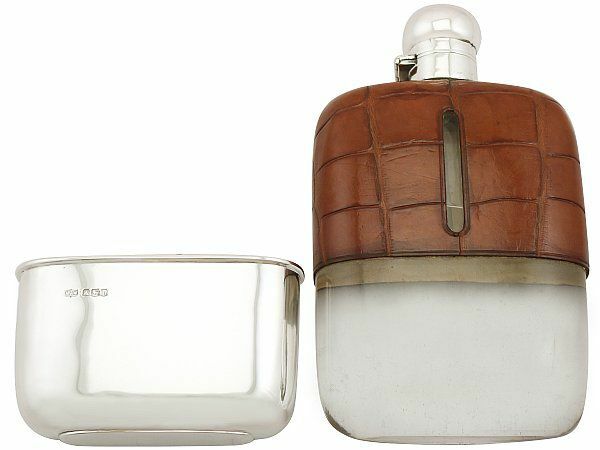 This exceptional antique George V sterling silver hip flask has a rectangular form with rounded corners. 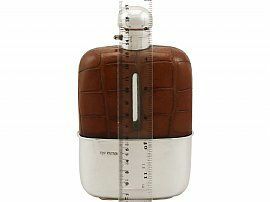 The upper portion of the large glass body is ornamented with an impressive crocodile skin covering. 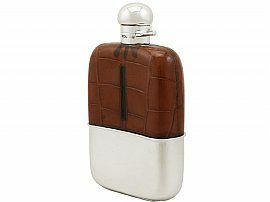 This impressive antique hip flask is fitted with a plain domed fully hallmarked hinged cover, securing with a bayonet fitting. 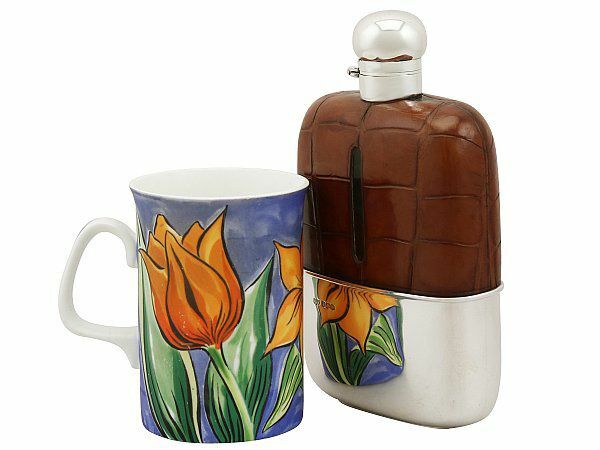 This silver and crocodile hip flask retains the original hallmarked push fit drinking cup with original gilt interior. 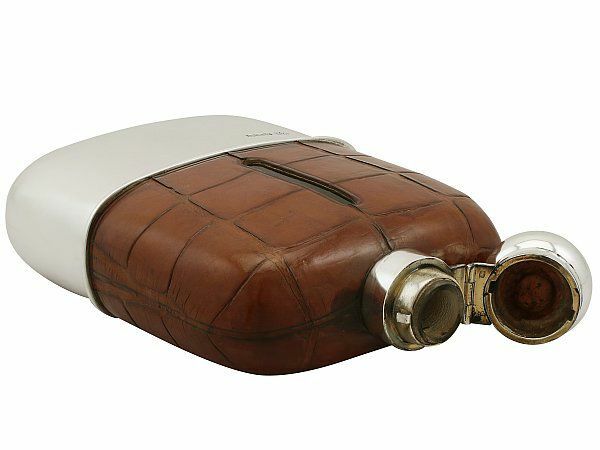 This antique hip flask has been tested for watertightness and is ready for use. Method Two: Fill the flask to the brim with fluid and close. 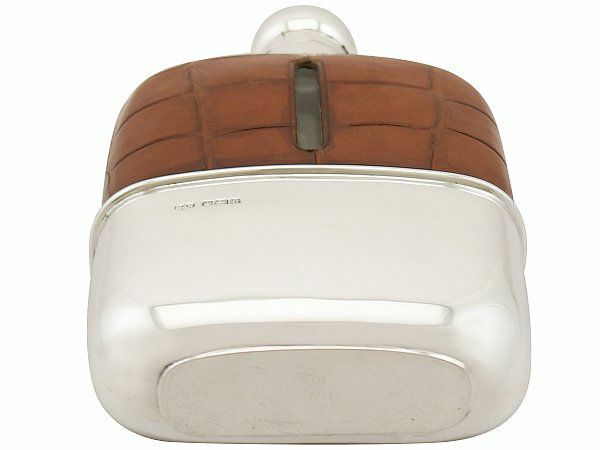 Leave it like this overnight, or for 24 hours if possible, before use. This antique crocodile skin hip flask is an exceptional gauge of silver, exceptional quality and in exceptional condition. 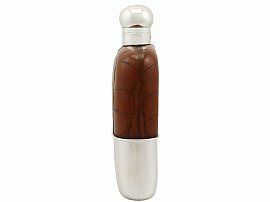 The crocodile skin covering has some slight staining, however can be considered to be in presentation condition. 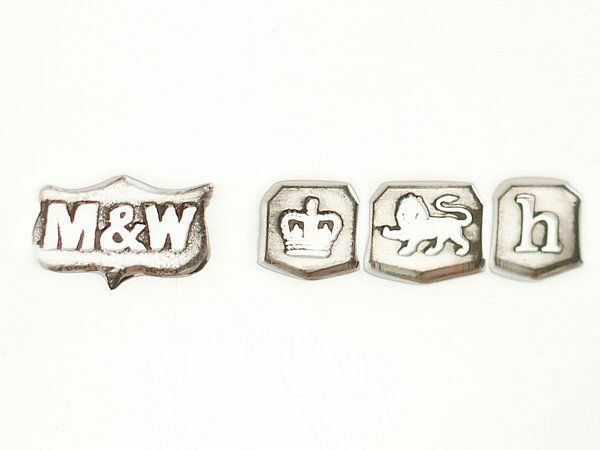 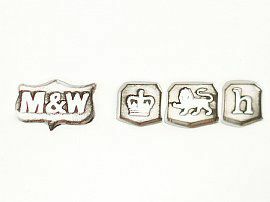 Full hallmarks struck to the surface of the drinking cup and the cover are all very clear; the hallmarks are struck deeply due to the exceptional gauge of silver. Reflections in photographs may detract from the true representation of this crocodile hip flask.